1017 is the new 420 for Canadians who have historically celebrated “Weed Day” in the past. For many, there is a sigh of relief that the government has finally legalized growing, possessing and smoking marijuana. In a few short hours, at 12:01 am, on October 17, 2018, those who have smoked recreational pot will no longer have to hide in the shadows to do so. Make no mistake, there are regulations governing this new law that takes effect, and rightfully so. For example, in areas where smoking cigarettes are not allowed, the same rules apply to marijuana. There seems to be some rather silly notions that are in conversations taking place across the nation. Some people think that there will be thousands of Canadians taking up pot smoking. People have been smoking pot for decades and nothing will change except the fact that it is legal, and where it can be purchased. In Ontario, cannabis will be able to be purchased online at a government website. Oh sure, there may be a few people who may be tempted to try it, but I truly feel these numbers will be low. Yes, this post is not wild food related, but it is a plant that has remarkable medicinal powers and as a (soon-to-be) herbalist, this plant is one I will be studying a fair bit in the coming months. There is not a doubt that marijuana is helping a lot of people out there with various health conditions and diseases and there is a lot more work to be done in terms of its medicinal values. Cannabinoids are the active chemical ingredients produced by the cannabis plant. 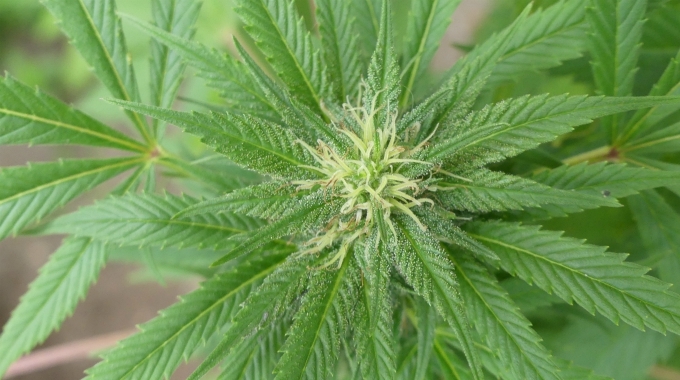 More than one hundred different cannabinoids have been identified, but research has focused on only two of them so far: delta-9-tetrahydrocannabinol (THC) and cannabidiol (CBD). THC is the substance known to cause the psychoactive effects or the “high” felt from cannabis. Scientific studies, as well as anecdotal evidence, suggest that THC is effective in Post-Traumatic Stress Disorder (PTSD), functions as an appetite stimulant for HIV/AIDS patients, reduces nausea and vomiting from cancer treatment, helps patients with insomnia, inflammation and pain. Trichomes that grow on the outside of marijuana flowers contain the active ingredients in cannabis, including THC and CBD. CBD lacks nearly any psychoactive effect and demonstrates promise with epilepsy. CBD has also been used successfully by patients with genetic brain disorders, Crohn’s disease and ulcerative colitis, and Parkinson’s disease. This remarkable plant has an ancient relationship with humankind, and has been cultivated for centuries as a source of medicine (the buds), fibre (the stalks), and food (the seeds). It has been found in neolithic Chinese archaeological sites, and is mentioned in the earliest Chinese pharmacopoeias. In India it is associated with Shiva and has played an important role in religious life as a sacred inebriant. Bhang was first used as an intoxicant in India around 1,000 BC and became an integral part of Hindu culture. In the ancient text Artharvaveda, Bhang is described as a beneficial herb that “releases anxiety”. Bhang preparations were sacred to Gods, particularly to Shiva. One of Shiva’s epithets was “Lord of Bhang” as he is said to have discovered the transcendental properties of the mixture. 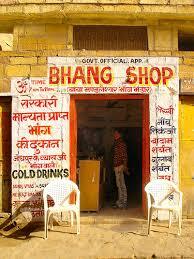 Typically, bhang is traditionally distributed only during the spring festival of Holi. By smoking the flowering buds of cannabis; a practice reserved for holy men who dedicate their lives to ascetic practice and the worship of Shiva. If you are interested in how Bhang is made, click here for a recipe. Cannabis has a long, intriguing history. For those who would like to know how and why marijuana became illegal only a few short decades ago there is a well-written book that addresses this: The Emperor Wears No Clothes by Jack Herer. If you are one of those Canadians who enjoy smoking pot for recreational (or medicinal) purposes, please remember to be mindful of those around you. Like cigarettes, chances are that second-hand pot smoke will not be enjoyed by others. The ONLY thing Trudeau did right in the past 4 years!!!!!!!!!!!!!!!!!!!!!! !